I can’t even remember why I decided to look at the Quark Expeditions website that day. A trip to South Georgia and the Antarctic Peninsula had been on “The List” since forever — in fact it was the very top thing on that list. I hate the term “bucket list”, probably because I just hate the word “bucket”, so I prefer to think of it a “life list” – sounds more positive that way, anyway. This is probably not going to get any cheaper. It’s got to cost a lot to send a small ship with only 114 people to the Antarctic, and I don’t expect diesel to be getting much cheaper anytime soon. You just never know what is going to happen. Don’t wait for tomorrow to do something you really want to do, cause you might not have a tomorrow. Getting older adds risk. I’ve never had problems with my knees before, but who’s to say what shape I’ll be in when I’m 70? 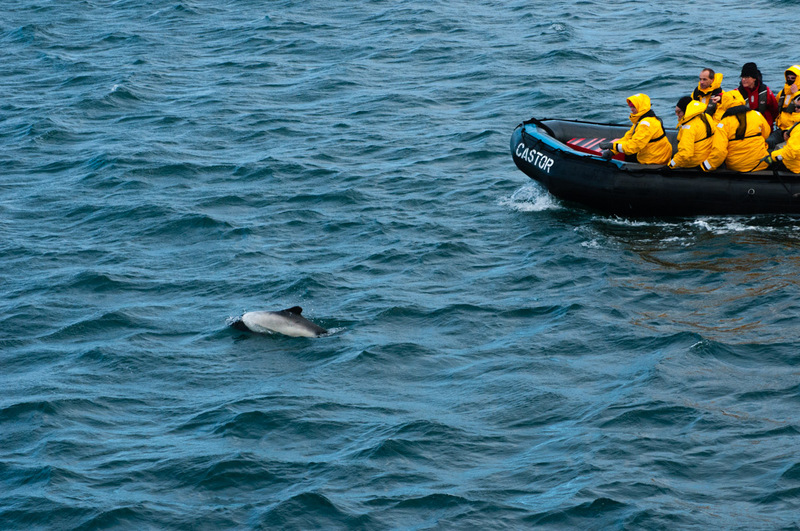 I can easily hop in and out of zodiacs now, but you never know what will happen in the future. Why on earth would you wait to do something you desperately want to do? — this is more of a philosophical question than anything else. What are you waiting for? Are you waiting to achieve some magic goal that will make you feel as if you can do it? Are you just afraid to spend the money? So dear reader, I signed up. My hands were shaking, my heart was pounding — it feels like a drug sometimes — and I put the $3500 deposit on a credit card. Now, even though I travel all the time, I am at heart a cheapskate, and that deposit represented the entire cost of some of my trips. Deep breath. I had some money saved up, a good 2/3 of that I could pay off right away. The final payment was 14 months away. Fourteen months. We can plan for that. So, why Quark? They are the undisputed leader in polar travel. All those years ago, Galen Rowell went on trips with them, in fact taught photo workshops on those trips, so I knew that they are a reputable company with years of experience safely guiding travel in these remote environments. This is not a place to economize. Why then? Booking early gives very significant discounts. For these types of voyages, booking 18 months in advance will often net you a 20% discount off the “rack rate”. I decided to sign up for a twin porthole cabin, figuring that while I could deal with one roommate in a small cabin for three weeks, the two roommates you’d have in a triple might do me in. Why that trip? 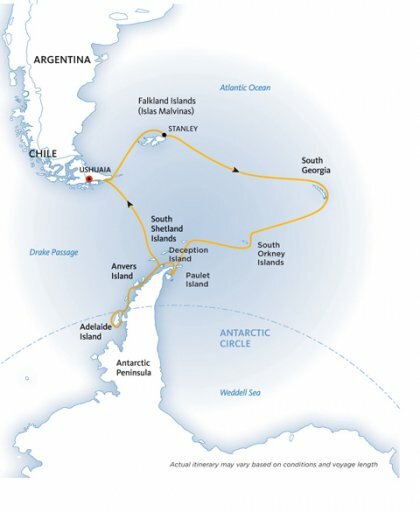 If you are going to spend the time and the money to go to Antarctica, it makes sense to go for as long as you can. Just getting there is expensive, so amortizing that cost over a longer trip is a better deal. It was imperative for me that I go to South Georgia, which only happens on the longer trips (you can see why in the map below). 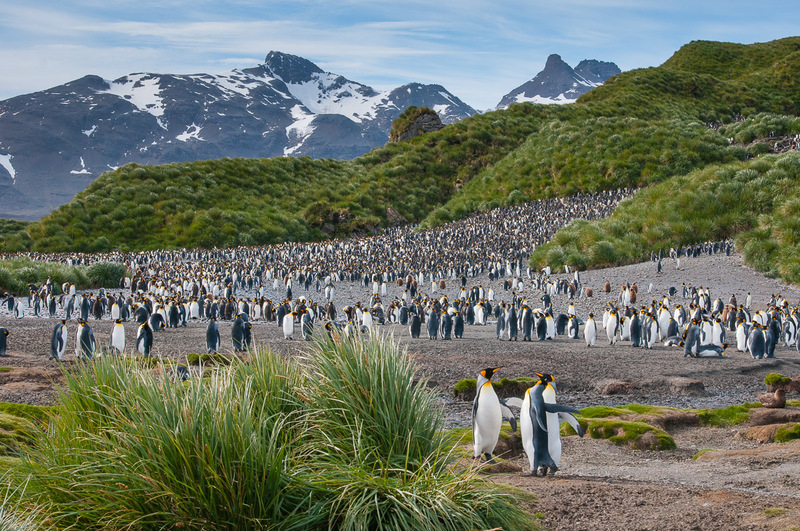 Aside from the amazing landscape it has to offer, the sheer tonnage of penguins and seals can be found no where else. I KNOW!! When I booked this, I was thinking that if I had to quit to go on this trip, maybe that wouldn’t be such a bad thing. The office had moved, and I now had a much longer commute. The company was doing “ok” but not well, so there was not much advancement going to happen. I was bored. It all added up to: meh, we’ll cross that bridge when we come to it. If I have to quit, I will. I’m lucky I work in an industry and a location with a healthy economy, so I was not too worried about finding another job if it came to that. As it happened, just two months later I switched jobs. Now, I’ll be honest. I should have told New Job about the trip, I really should have. The complicating factor was that I already had a previously planned trip to India scheduled for one month after my start date. Not a long trip, but still. Telling them about one upcoming trip seemed like enough. Besides, maybe I’d hate it and have a completely different job by then. It was over a year away! Who knows what will happen…. So, how did I pay for it? What preparation did I have to do? Part two to come.